Christin M. Bucci focuses her practice on the successful resolution of federal and state tax controversies. She has over 20 years of extensive experience in representing individuals and corporations in tax matters before all levels of the Internal Revenue Service, U.S. Tax Court and Federal District Court, offering an unparalleled level of services and insight into the most challenging tax disputes. Christin M. Bucci has also counseled corporate and individual clients in numerous tax planning strategies and transaction matters, both domestic and international. She holds a Master of Taxation (LL.M.) and a Master of International & Comparative Law (LL.M.) from Georgetown University, and is also a Certified Public Accountant (CPA). 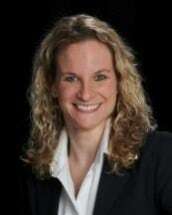 Prior to founding Bucci Law Offices, Christin M. Bucci was an attorney at PricewaterhouseCoopers. With more than 20 years of experience, she has received many distinguished awards such as a 2015 Super Lawyer, and Avvo’s 10 Top Tax Award and Client’s Choice Award. Christin has also been “AV Preeminent” rated 5.0 out of 5.0 (2010-2015) by her professional peers through Martindale-Hubbell © Peer Review System. The “AV” Rating of “Preeminent” legal ability is the highest rating awarded, and a testament from peer legal professionals of the highest level of professional excellence and unquestionable ethics. Christin M. Bucci is licensed to practice law in Florida, Ohio, and the District of Columbia, as well as before the U.S. District Court, Southern District of Florida, the U.S. Tax Court and the Supreme Court of the United States. John Carroll University, Cleveland, OH, B.S.B.A. "Taxation of International Electronic Commerce: Where Cyberspace and the Real World Collide"
Independent Research: "Joint and Several Justice: Innocent Spouse Relief for Criminal Prosecutions"
United States v. Taxpayers | Outcome: $5 million case against our clients dismissed with prejudice!